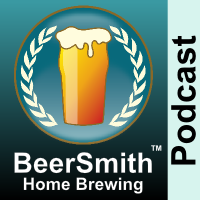 Michael Tonsmeire joins me to share some of his top pro beer brewing secrets. Michael provides 12 tips from the top brewers and shares his experience as an author and contributor to Modern Times brewery. Today my guest is Michael Tonsmeire, the author of the recent book “American Sour Beers” (Amazon affiliate link), beer designer for the “Modern Times” craft brewery, and author of the “Mad Fermentationist” blog at TheMadFermentationist.com. Michael has been on the show four times before, most recently in episode #85 discussing sour beers. Also check out the new DVDs John Palmer and I filmed – How to Brew with Malt Extract and How to Brew All Grain are both available now and you can also find my BeerSmith software on CD or BeerSmith Mobile which great gifts for the New Year! Michael shares some of his recent projects and also his thoughts on his book American Sour Beers which was released last summer. We talk about his recent post Secrets of the Best Brewers which formed an outline for this particular podcast. Thanks to Michael Tonsmeire for appearing on the show and also to you for listening! I really enjoyed this podcast with the Mad Fermentationist. Michael Tonsmeire is very knowledgeable and I continue to learn new brewing techniques from him and your site. Beer is one of those effortless enjoyments in life, I have seen this video and got best beer brewing ideas. Thanks for sharing valuable information with us. Next post: Should you use a Secondary for Beer Brewing?